Home The Economy Controls "I'm a bachaquero"
One effect of economic chaos has been to create a new class of Venezuelan entrepreneurs locally known as bachaqueros. Their business model is simple: buy scarce, price-controlled items, and resell them for a profit. Often, this involves shipping goods across borders. Yet the question of who exactly these people are is murky. There are a lot of myths at play. Off-road gasoline caravans and wayuu flashmobs are the most visible types of bachaqueo, but there’s much more to it than that. The middle-class has quietly figured out ways to get in on the trade: huge mark-ups are up for grabs without even crossing the border by reselling scarce items as a moonlighting gig. Take Patricia*, for instance. She’s 35, and holds down a 9-to-5 office job. In her spare time, she goes to the movies, she bar-hops, and she’s also part of a 10 people-strong bachaqueo ring operating in a middle class area in the north of Maracaibo. The way she describes it, you’d think she was talking about a knitting club. “It all started in January, when I went with a friend to the drug store for some laundry detergent –Ariel, the good stuff”, she says. Her friend asked if she’d help her get around the two-per-person limitat and buy some for her as well. Outside the pharmacy the friend came clean: his plan was to resell it and cash in. And so it began. They hit up drug stores and supermarkets where they had inside contacts, stocked up on as much merchandise as they could, and resold them with astronomical profit margins. Her hobby rakes in ten to fifteen thousand bolivars a month, two to three times her actual salary. Diapers and baby formula are her top sellers. She mocks desperate parents. Without a trace of shame on her face; she takes a certain pleasure in identifying as a shark. “We’re opportunists. We’re a bunch of usureros. We prey on the needy. We don’t care,” she shamelessly blurts out. Patricia –who wishes to be referred to as “La Pingüi”, her pseudonym– says nothing can stop this, not even the captahuellas, the fingerprint scanners that the government has put in place to supposedly break the back of smugglers. She says they’re easy to fool. Luis Vicente León, of Datanalisis fame, told a roomful of people last week that 65% of those standing in line to buy regulated goods are looking to resell. And why wouldn’t they? The last official scarcity index reached 29.4% way back in March. Fedecámaras’ Jorge Roig puts the real figure closer to 85%. Price-controlled items are veritable gold. Factor in the already shocking official rate for inflation (63.4% yearly as of August) and you can see a golden opportunity for turning a quick buck: no wonder the middle class is jumping on the bachaqueo bandwagon. In 2013, after a quick vacation in neighboring Aruba, middle-class mom Irene* used her Cadivi remnants to bring back some of the things she needed: deodorant, shampoo, soap, and those little dryer sheets that make your clothes smell nice. A friend offered to buy one deodorant from her. That was all the drive she needed. Two more trips saw her return from the Happy Island with boxes full of goodies that she then resold at six times the official price. Even after she used up her subsidized dollars and started buying black market ones (eight times as expensive), she still turned a healthy profit. A year into her negocio, as she calls it, she moved the operation to Panama, where prices even better. Irene is currently on her seventh trip of 2014. “Do you think there’s anything wrong with what you’re doing?” I sheepishly asked her. That’s 16 times the new minimum wage. 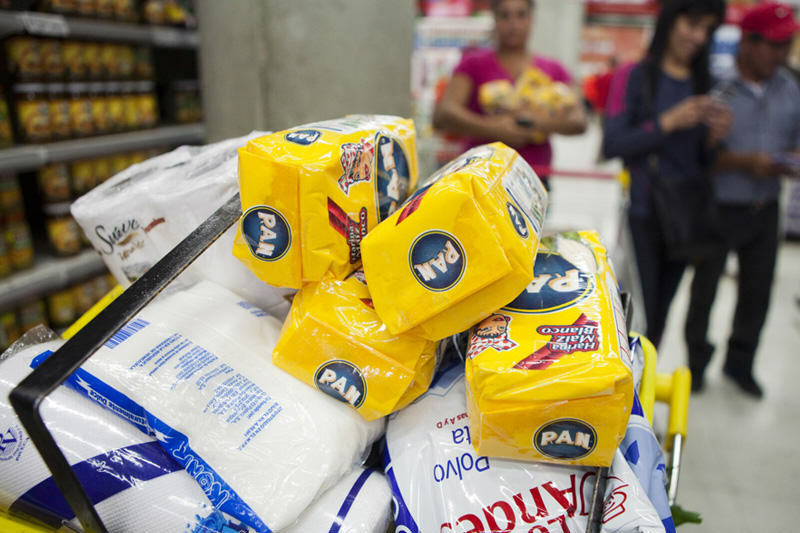 Economist and college professor Gustavo Machado says that, since production of tradable goods is far from enough, buyers look past the high prices and prefer stuffing a bachaquero’s wallet to spending hours in a queue under the sun. The culprits behind this madness are the economic policies that allow for multiple exchange rates, and turned our economy into Distortioland. Should these policies be sustained, he warns, economic growth will be very lucky to only stymie. “There needs to be a change in policy so that this activity is not seen as profitable”. In his words, there’s no other way out. Three factors explain the middle class’ growing interest in bachaqueo, according to sociologist and researcher Natalia Sánchez: a decline in high-paying jobs for qualified people, rocketing inflation, and the three-tiered currency exchange system that allows for a quick and easy profit. * Seriously, were you expecting these to be their real names?